On the journey to Turku the cruise passenger travels through a breathtakingly beautiful archipelago with some 20,000 islands and islets, one of the biggest in the world. Smaller cruise ships berth next to the medieval Turku Castle, within walking distance of the city center. Larger ships dock in the main port area, which is only slightly further away. A free shuttle bus operates between the pier and the city center throughout the call stopping at Turku Castle both ways. The center is only three km from the port, and it can also be reached by foot through a scenic promenade along the riverbank. Turku was founded at the river Aura already in 1229. 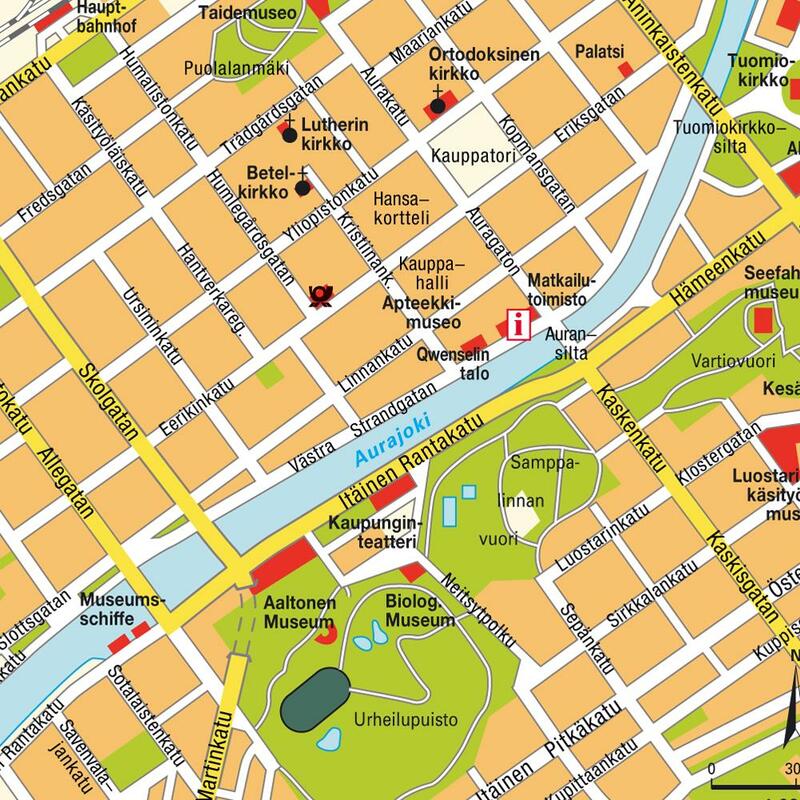 The historical city is currently a modern city that can offer a lot, for example museums, art, music, Finnish design stores, etc. You will find the enchanting city spirit by taking a walk along the Aura River - from the main church to the Castle - the two city landmarks. For the locals as well as for the visitors the riverbanks are the place to see and be seen. Mix culture with the archipelago. The archipelago is a pure paradise for anyone who likes the peacefulness and quietness. With small or big boats you can easily reach one of the 20 000 islands existing in the Turku archipelago. But you can also enjoy the nature and seaside by following the Archipelago Ring-road" that takes you on a 200 km trip over bridges and islands. Turku is an old but still modern city directly on the river, by the sea and with wonderful nature. Just a few kilometers from the city center you can hike, bicycle, go fishing or what about playing golf directly at the seashore? TurkuCard gives you many substantial benefits, including free entry to many sights and other discounts. Firstly, TurkuCard gives you free entry to most museums in Turku. You also get to travel free on local traffic buses and guided sightseeing tours. TurkuCard gives you dozens of other benefits too, including special bonuses in many restaurants and discounts in certain shops. All in all, TurkuCard is a great investment. The world's largest cruise ship, Oasis of the Seas, was built at the yard just outside the Finnish city – as were many of that ship's largest fleet mates.